Share happy moments with your family or friends at the Oyam Campsite in Bidart, Aquitaine! This resort offers a friendly welcome and a huge range of activities to make your holiday unforgettable. 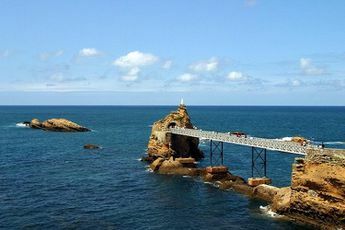 The campsite is only 0.7 miles from the Atlantic ocean (with a shuttle bus in the high season), 10 miles from the Lake of Chiberta and 6.2 miles from Saint-Jean-de-Luz. Feel the benefits of the sun and ocean during your stay at the Oyam Campsite. At the campsites large swimming pool, you can enjoy the fun of family swimming in a friendly atmosphere. Children can whizz down the water slide or have fun in the games area, specially designed to make their stay as enjoyable as possible. Adults can get active on our sports ground or indulge in some sunbathing at the beach, and feel the benefits of the sea air. Holidaymakers can try surfing or bodyboarding - two iconic sports of the region. During your stay, dont hesitate to leave the Oyam Campsite and plan a getaway to discover the beauty of the rest of the region. 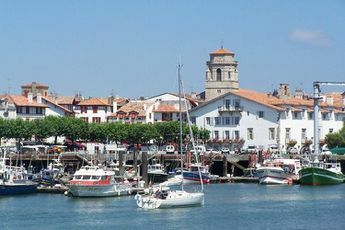 Dont miss Saint-Jean-de-Luz bay and the Lake of Chiberta. You could also visit the surrounding communes, such as Sare and Ainhoa. The Oyam Campsite welcomes you to Bidart, in Aquitaine. 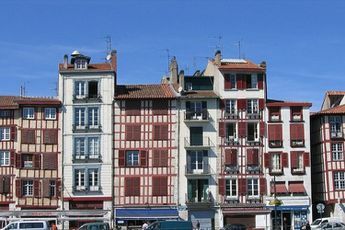 Situated on the Basque Coast, Bidart can be found between Biarritz and Saint-Jean-de-Luz. Its lush vegetation fits in perfectly with its maritime scenery, formed by a long strip of soft sand. 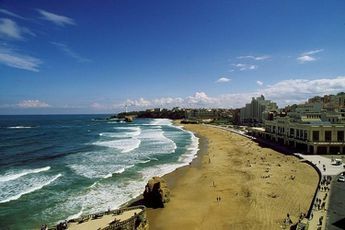 The beaches on the Basque Coast are famous for surfing and bodyboarding. Surrounding Bidart, a getaway to Sare and Ainhoa beckons. 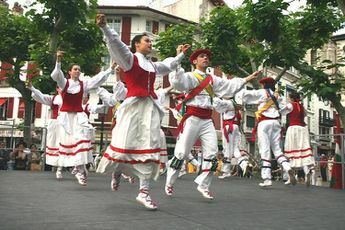 Hikers will discover the mythical Basque mountain. Enjoy your holiday in the Pyrénées-Atlantiques.